Small plates are a Spanish thing. They’re known as Tapas and they’re a great way to share a meal with friends. It’s also a great way to do wine tastings when you can share the bottles with a group or taste by the glass. Hors d’oeuvres, however, are not what I would call these small plates. 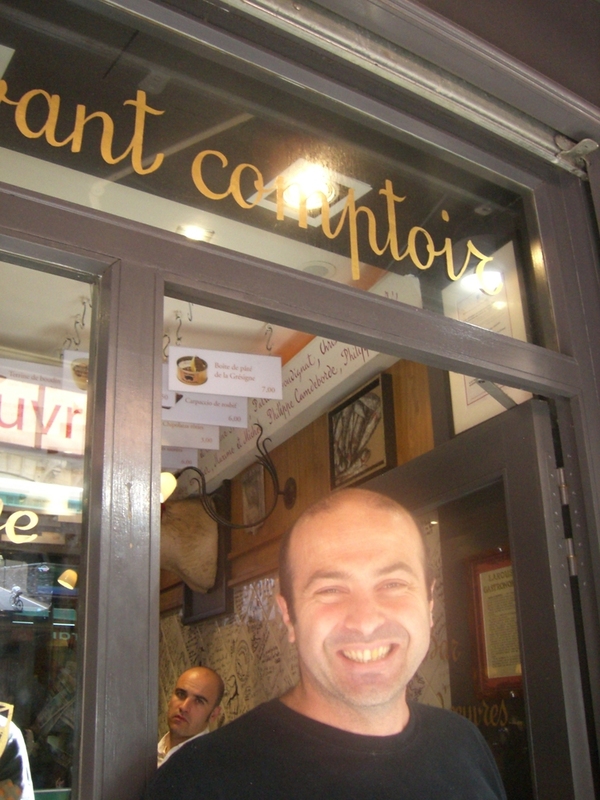 Out of respect for Chef and Proprietor Yves Camdeborde, I won’t call them French Tapas but I do think of them that way. Of course, when I had a friend visiting recently, a pal who can’t pronounce Si’il Vous Plait to save his life but knows good food and has the charm to get what he wants, always, I had to drag him there. Compared to several sit-down, expensive meals, after an evening spent eating at L’Avant Comptoir, squashed between the elbows of our fellow gourmands-on-a-budget and up against the long pewter counter laden with fresh bread and the best butter in Paris, my Food Dude buddy couldn’t stop raving. We would have been back there for lunch and dinner and snacks every day if he had had his way. Every day! The great thing, too, for Non-French speakers is that there are pictures of all the small plates hanging right above your head, in addition to the day’s specials, that you can mutely point to and you’re still sure to get what you want. 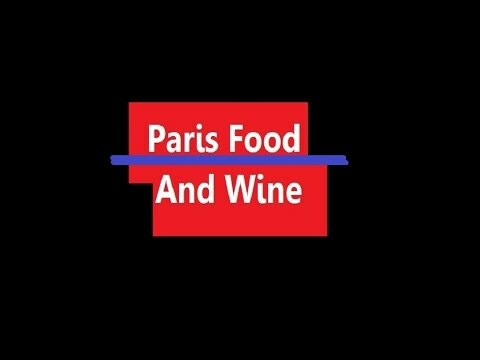 A Franco-American we chatted up there one evening confessed that L’Avant Comptoir is his favorite place in Paris because it’s the only place, he said, where people will talk to you openly and unreservedly. This place just plain rocks. 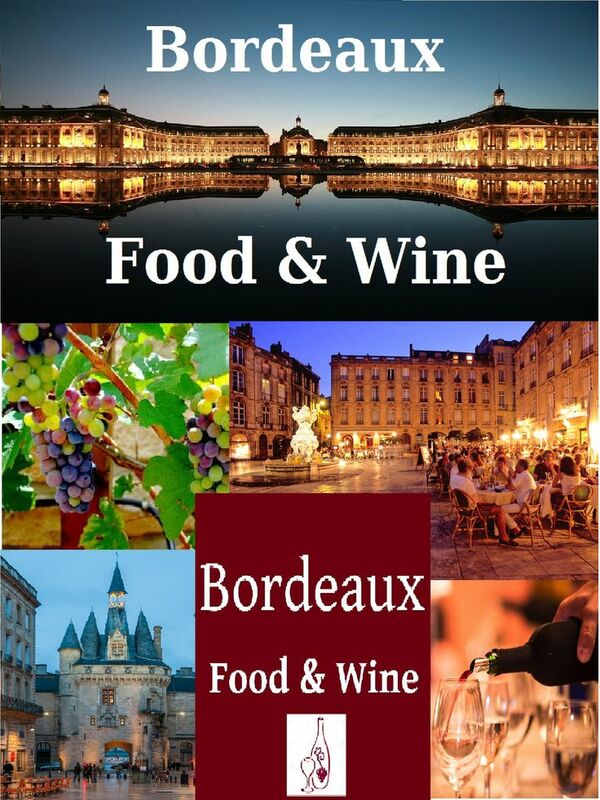 Once you go there, you will keep coming back AND it will always be on your Top 5 Paris Picks. Bon appetit! 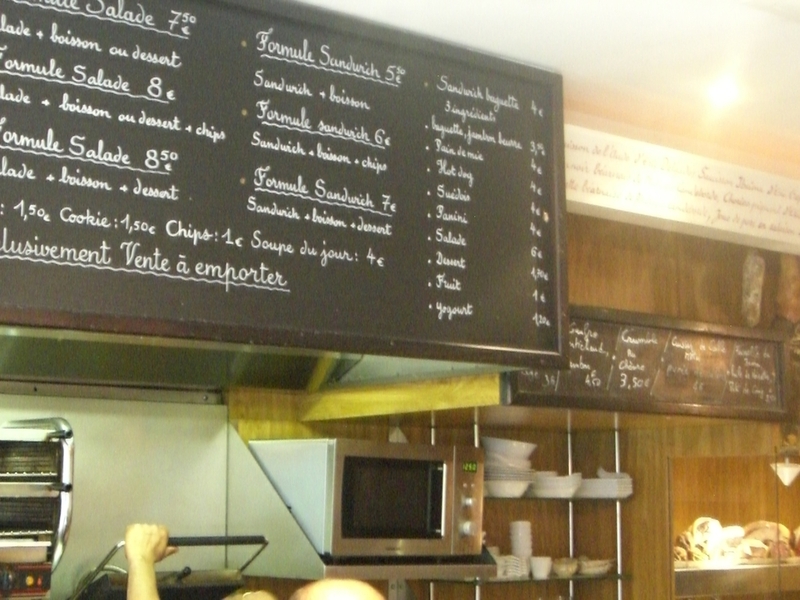 L’Avant Comptoir, 9 carrefour de l’Odéon, 75006, Paris; 011-33-8-2610-1087. No reservations. Open daily. The couers de poulet was the best thing I ate this year.